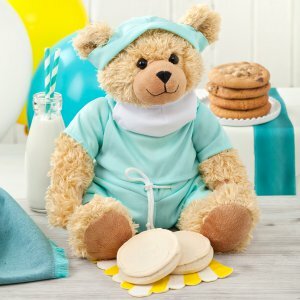 Nothing brightens a day like fresh baked cookies. 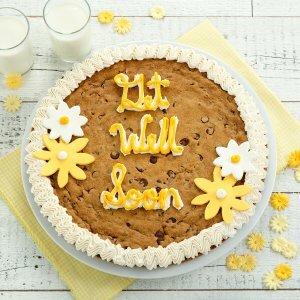 Send someone you love a Get Well Soon basket from Mrs. Fields. 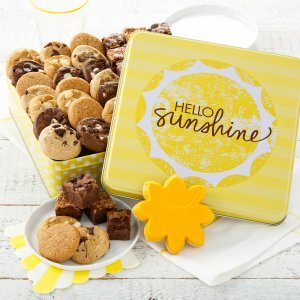 Choose from a variety of thoughtful gifts filled with delicious cookies and brownies, like cookie tins and Get Well Soon cookie bouquets. What To Express in Your Card: Thinking about you and wanting you to heal so we can exercise together again. In the meantime, though, have a cookie.